The registration process itself is very simple and, of course, registration is completely FREE! By visiting and registering on the website dentalmedicaltourismserbia.com, you agree to receive offers and action notifications via email, sms, viber, facebook and phone, which will be published on our site. User account is intended for registered users. You can enter, edit and update your information here. You only have access to the Corinth account. You can access the User Account when you log in and click on the “Log In” field, located in the upper right corner. site dentalmedicaltourismserbia.com works from 00-24h, 7 days a week. The site may be inactive or switched off for a shorter period of time in case of technical problems. site dentalmedicaltourismserbia.com is trying to describe all products accurately. 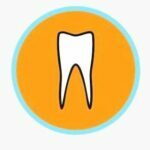 Dentalmedicaltourismserbia.com does not warrant that all listed information about the services is 100% accurate and error free, as the website dentalmedicaltourismserbia.com does not publish but only gives the space to clients who want to advertise. The advertiser is entitled to unilaterally terminate the contract. By unilateral termination of the advertiser, he exempts all contractual obligations and will not have any claims on the website of dentalmedicaltourismserbia.com. Receipt of comments can be made by letter, telephone, fax or e-mail. dentalmedicaltourismserbia.com reserves the right to cancel membership at any time and for any reason, without having to explain to the member the reason for the membership. A member whose membership is canceled will not therefore have any rights or claims to the site dentalmedicaltourismserbia.com. dentalmedicaltourismserbia.com reserves the right at any time to prohibit the advertising of certain services or groups of products on its own discretion and without explanation. (or browser cookies), Web Beacons, and other similar technologies: Cookies are small pieces of information that our websites place on your computer’s hard drive. Cookies are used, among other things, to facilitate our application procedures; Allow customization and save settings; collection of usage information; Determine the overall size and traffic of the audience; and helps us improve our website by measuring the areas of greatest interest to users. In these cookies, personal information is not placed. Cookies may reflect demographic or other data that is associated with the data you have voluntarily sent us, e.g. Your email address, in a scattered form that is not readable. Our site also uses analytical cookies, which allows us to count the audience’s visits, where they come from and which pages most often visit. There are also cookies of third parties, these are cookies of advertisements, which we have enabled them to place on our site free use of advertising space. Their cookies collect data to have information on which ads to advertise. site dentalmedicaltourismserbia.com obliges to keep the privacy of all its clients. We collect only the necessary, basic customer data and the data necessary for doing business and informing customers in order to provide quality service. All customer data is strictly kept and only available to employees for whom this information is necessary for doing business. dentalmedicaltourismserbia.com does not sell or rent your personal information to third parties. dentalmedicaltourismserbia.com may have the need to forward information to third parties. 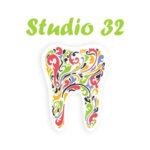 Third parties, with whom dentalmedicaltourismserbia.com has a contract, are authorized to use the information provided exclusively for the purposes for which they are hired. As part of the agreement with them, they are required to follow the privacy policies we have forwarded to them and take reasonable precautions to ensure the security of your personal information. the site dentalmedicaltourismserbia.com will eventually be compelled to pass on personal data to valid judicial authorities, by court order or otherwise as prescribed by law. We reserve the right to report to investigating authorities the activities we consider to be illegal. website dentalmedicaltourismserbia.com may forward certain personal information in case we believe that this procedure is reasonably needed in order to protect the rights, property and safety of others and ourselves. site dentalmedicaltourismserbia.com is free to modify all conditions at any time and your use also implies your acceptance. The content displayed on this site, such as strangers, design elements, photos are the property of the website dentalmedicaltourismserbia.com and can not be used without prior consent. If you believe that your content is abusive, please contact us to resolve any misunderstandings. The site dentalmedicaltourismserbia.com can not be held responsible for the correctness and accuracy of the data on the services on this site, because it is brought by a third party, users, they edit their own page (contact information, pictures, text, logo, banners, all data …). If you feel that your content is abusive or you think someone has misused your information (clinic office, hotel, spa, wellnes), please contact us to resolve any misunderstandings. sajt dentalmedicaltourismserbia.com radi od 00-24h, 7 dana u nedelji. Sajt može biti neaktivan ili isključen na kraći vremenski period u slučaju tehničkih problema. sajt dentalmedicaltourismserbia.com se trudi da sve proizvode opiše tačno. Dentalmedicaltourismserbia.com ne garantuje da su svi navedeni podaci u vezi usluga 100% tačni i bez grešaka, jer sajt dentalmedicaltourismserbia.com ne objavljuje vec samo ustupa prostor klijentima koji žele da se reklamiraju. Oglačivač ima pravo da jednostrano raskine ugovor. Jednostranim raskidom oglašivačse oslobađa svih ugovornih obaveza i neće imati nikakva potraživanja prema sajtu sajt dentalmedicaltourismserbia.com. Svi uslovi korišćenja se smatraju prihvaćenim i obavezujući su za svakog posetioca našeg sajta bez potrebe davanja posebne saglasnosti. sajt dentalmedicaltourismserbia.com se zalaže za očuvanje principa privatnosti u sakupljanju, korišćenju i zaštiti korisničkih informacija. Možemo zatražiti Vaše lične informacije prilikom online registracije korisničkog naloga. sajt dentalmedicaltourismserbia.com zadržava pravo da otkaže članstvo u bilo koje vreme i iz bilo kog razloga, pritom ne morajući da obrazloži članu razlog izčlanjenja. Članu kome se otkaže članstvo neće usled toga imati nikakva prava ili potraživanja prema sajtu sajt dentalmedicaltourismserbia.com. sajt dentalmedicaltourismserbia.com zadržava pravo da u bilo koje vreme zabrani reklamiranje određenih usluga ili grupe proizvoda po sopstvenoj odluci i bez obrazloženja. sajt dentalmedicaltourismserbia.com obavezuje da će čuvati privatnost svih svojih klijenata. Prikupljamo samo neophodne, osnovne podatke o kupcima i podatke neophodne za poslovanje i informisanje kupaca u cilju pružanja kvalitetne usluge. Svi podaci o kupcima se strogo čuvaju i dostupni su samo zaposlenima kojima su ti podaci nužni za obavljanje posla. sajt dentalmedicaltourismserbia.com ne prodaje i ne iznajmljuje Vaše lične podatke trećim licima. sajt dentalmedicaltourismserbia.com može imati potrebu da prosledi informacije određenim trećim licima. Treća lica, sa kojima dentalmedicaltourismserbia.com ima ugovor, su ovlašćena da prosleđene informacije koriste isključivo u svrhe za koje su unajmljena. Kao deo ugovora sa njima, u obavezi su da slede pravila privatnosti koja smo im prosledili i da preduzmu razumne mere predostrožnosti kako bi obezbedili sigurnost Vaših ličnih podataka. sajt dentalmedicaltourismserbia.com će eventualno biti prinuđen da prosledi lične podatke validnim sudskim vlastima, po sudskom pozivu ili drugačije kako je propisano zakonom. Zadržavamo pravo da prijavimo istražnim organima aktivnosti za koje smatramo da su nezakonske. sajt dentalmedicaltourismserbia.com može proslediti određene lične podatke u slučaju da verujemo da je taj postupak razumno potreban kako bi se zaštitila prava, svojina i sigurnost drugih i nas samih. sajt dentalmedicaltourismserbia.com je slobodan da izmeni sve uslove u bilo koje doba i Vaše korišćenje podrazumeva i Vaše prihvatanje istih. Sadržaj prikazan na ovom sajtu kao što su strancie, dizajnerski elementi, fotografije su vlasništvo sajta sajt dentalmedicaltourismserbia.com i ne mogu se koristiti bez predhodne saglasnosti. Ukoliko za sadržaj smatrate da je Vaš i da je zloupotrebljen, molimo vas da nas kontaktirate radi rešavanja nesporazuma. Web stranica dentalmedicaltourismserbia.com ne može se smatrati odgovornom za točnost podataka o uslugama na ovim stranicama jer ih donosi treća strana, korisnici uređuju vlastitu stranicu (kontakt informacije, slike, tekst, logo , banneri, svi podaci …). Ako smatrate da je vaš sadržaj zlonameran ili mislite da je netko zloupotrebio vaše podatke (ordinacija, hotel, spa, wellness), obratite nam se kako bismo rešili bilo kakve nesporazume.